Also known as: Against All Odds. Actors: Christopher Lee, Richard Greene, Howard Marion-Crawford, Götz George, Maria Rohm, Ricardo Palacios, Loni von Friedl, Frances Khan, Tsai Chin, Isaura de Oliveira, Shirley Eaton, David de Keyser, Robert Rietty. 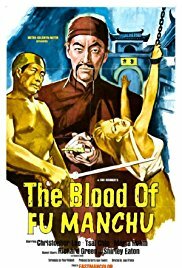 Description: Fu Manchu inoculates ten women with poison, to kill ten world leaders.